Last race of the season and last race for a few F1 drivers.....some switching teams. Bottas is kind of the key driver today for many reasons. If he wins the race Kimi needs to be at least 4th to keep 3rd in the WDC. If Bottas only manages 2nd then Kimi needs to be at least 8th (they would end up on the same points with Kimi having one win). But if Bottas fails completely then Max might steal 4th in the WDC. If Bottas fails to win and only end up 5th in the standings it might spill over to next year where he will then try too hard and make mistakes. He will be the only driver in the top three teams not winning this year. On the other hand if he wins the race then four drivers will have won races since Seb won his last one. That will have to be a huge wake up call for Seb. There probably won't be any changes further down the grid regarding the WCC. But there's a fight from 7th down in the WDC. Hulk will most likely end up best of the rest. Perez needs to score 4th with Hulk no higher than 10th to jump him. It's pretty tight from 8th down. Leclerc might beat Grosjean. Will Smith is all over Lewis. Just saw the parade "live" on youtube. Kimi doesn't care about that 3rd in the WDC, he will probably care for a podium though... Hulk would love to be best of the rest, always talked about it all through the season. As for Alonso, I am not his biggest fan, but it is sad that F1 is losing a talent such as his and a part of his fanbase. Ask a man on the street to tell the name of an F1 driver on the grid now, and he will most likely say Alonso, Kimi, Hamilton or Seb. If a champion driver doesn't get booted out for illegally using traction, launch control, parking on the track during quali. and so on, why should Alonso get a boot? Would be great for Kimi to keep P3 in the WDC, he wasn't a natural fit for Ferrari being a Finn but he's done us proud and is of course our last WDC. Seb needs maybe to take a leaf out of his book and not be quite so impetuous. Hope we can go out on a high for this season, we deserve a bit of a lift to end the season which had promised so much. Forza ragazzi. Last edited by wisepie; 25th November 2018 at 15:32. Lewis Hamilton has changed energy store and control electronics on his power unit for the race. Both previously used, so no penalty. Vettel has a new set of hypers. 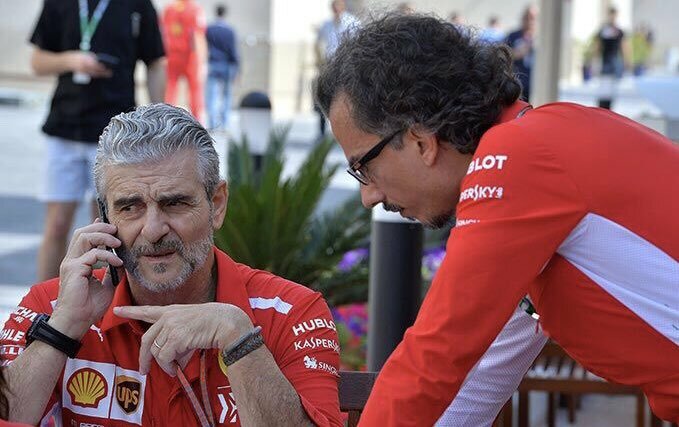 I hope, for once, Ferrari will try out something different with the strategy. Last race of the season. Hopefully it will be a good one for us. Big ask from them. Becoz S1& S2 ferrari is mighty. But I’m worried abt mad max who’s on HS, he could spoil the party over here. Their tyre deg is less & have good race pace.